We got engaged in September and we decided to have an engagement party. We live in North Carolina and all our friends and family are in New York. We don't see everyone very often (or, really, at all) and I thought it was a great excuse to see everyone and celebrate, especially since we were planning on going to New York for Thanksgiving that year anyway. Plus, we knew a bunch of our family and friends wouldn't be able to travel for the wedding, so this was our only chance of celebrating our marriage with them. We had a second trip planned to New York that Christmas, and I told Pete we could start planning the wedding when we got back after New Year's. I couldn't plan a wedding and engagement party simultaneously, and I also couldn't plan a wedding and Christmas at the same time. I need to compartmentalize things. 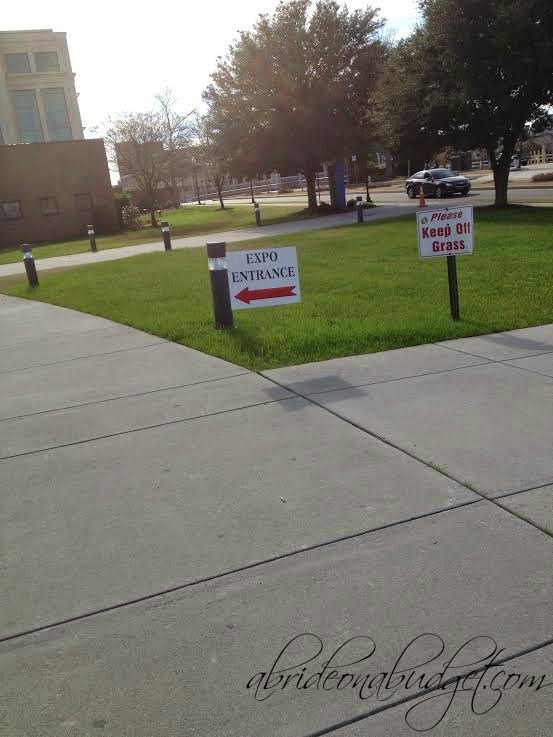 When we got back in January, we found out that there was a bridal expo two weeks later. "Are you prepared?" a friend asked. I was going to a bridal expo, not to battle. What was there to prepare for? But don't get overwhelmed. I'm a bridal expo expert now (I ended up at about a dozen), so I put together this Hot To Survive A Bridal Expo guide. This guide is broken into three parts: before the bridal expo, during the bridal expo, and after the bridal expo. I figured that makes it a little easier to read through instead of just one long list. The same bridal expos seem to happen year after year. These are the things you start to notice if your engagement lasts more than twelve months. We went to an expo one year, and then my mom was in town the following year so I went to the same expo with her. Except at the last minute, they changed the address. There was someone at the original venue who was there to tell people where to go instead, but if not for her, we would have been out of luck. I checked the address few days before but not the day of. So, before you leave the house, be sure to confirm the address so you don't waste time driving around. 2. Bring address labels with you. This is one of the tips someone gave me that I ignored, then quickly regretted at the bridal expo. There's a good chance you're planning on ordering address labels for your wedding stationery anyway. Add a couple more to your order and bring them with you to the expo. Each booth will ask for your contact information (including address, phone number, and email). Instead of handwriting it every time, you can just affix an address label. Much easier. Plus, CafePress sells a ton of really cure wedding address labels for really cheap, so just order an extra sheet for bridal expos (it'll set you back less than $3 and save you time and hand cramps. Totally worth it). 3. Bring a notebook with you. I picked up a journal-style notebook from Night Owl Paper Goods before we started planning (this one is the exact notebook, if you really want to know). It was small enough to fit in my purse, but the flexible wood cover was most of the appeal. It would "move" with my purse so I wasn't feeling a stiff notebook jam into my arm while I was courting vendors. And yet, it wasn't a paper cover that I feared would bend and ruin over time. I split the notebook into sections with a tab at the top for each section: venues, caterers, photographers, flowers, cakes, music, etc. That way, I was completely prepared before I got to the venue. 4. Pack a bottle of water. These expos are always packed with people and it's hot inside. No matter what the season or venue, that many people in a room, walking and talking and hurrying, it's warm. Some vendors are life savers and will bring bottled water (and some actually are smart are label the bottles with their information). But, you can't rely on generous vendors. Pack your own bottle of water, just to be safe. Bridal expos can be really tiring. 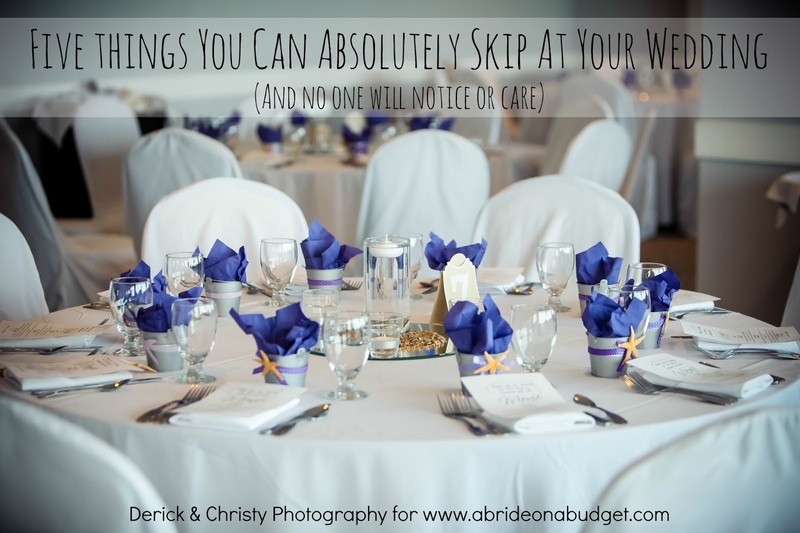 You're moving from one table to the next, talking to people and trying to plan a wedding. It's not fun on your own. Bring someone with you: your mom, your maid of honor, one of your bridesmaids, even your groom. I suggest bringing one and only one person. You're not Princess Kate. You don't need an entourage. Plus too many people makes it slow to go from one booth to another. I actually brought Pete with me to every expo except one (and that's only because it was year two of our engagement and we had a friend get engaged so I had a woman to go with). It was great having him around, though. It made it so we were planning our wedding, not just me. Bridal expos do know that men usually aren't as interested as women, though, and one we went to actually had a man cave. While I was around talking with vendors, there was booze and boys (and tuxedo companies) in the man cave. 2. Pick up the entry bag. At most expos (I say most because I haven't been to them all, but at every single one I've been to), you have to sign in when you get there. It's filled with papers and business cards from local vendors, some that are at the expo and some that aren't. What's the most helpful, though, is that it's a bag. When you go around to the vendors, they will definitely give you additional cards and information. You'll need a bag to collect it all, so it's really nice that bridal expos provide you with one. 3. Ask questions (and write down your thoughts). 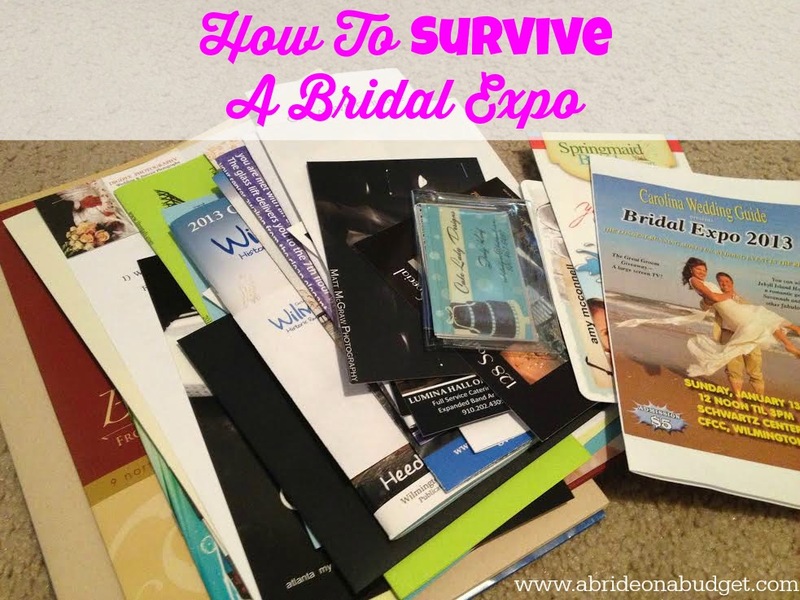 You don't want to just walk around the bridal expo collecting information on paper. You want to engage each vendor. Talk to them. Not only will you get answers to important questions (like cost of the caterer, how many people will fit in the venue, if the photographer gives you the rights to your photos, etc. ), you'll get a feel for the vendor. Maybe you feel really comfortable with them or maybe they give you the creeps. And it's okay if they do. This is a person who will be participating in one of the biggest days of your life. If you don't feel like they're a good fit, that's okay. You don't have to work with them. But if you don't talk to them and ask questions, you'll never know. When you're talking to them, be sure to write down what they have to say in your notebook. Don't expect to remember it all later. When you step away from the table, jot down your feelings on the back of their business card. I can't stress this enough. It was the most important piece of picking our vendors. I was absolutely incredibly nice to everyone's face, but when I turned around, I made sure to be honest with myself. I would write things like, "I love their photos" or "old, stuffy" or just "bad." These are personal comments for you that will help you choose the right vendors. Be honest. Okay, not veal exactly. But there's a good chance there will be a caterer present with food to try. And cake makers often have cake samples. Try them. This is a good way to get an idea of what the caterer or baker has to offer without setting up a tasting (which often requires a payment). If you like the food, that's great. 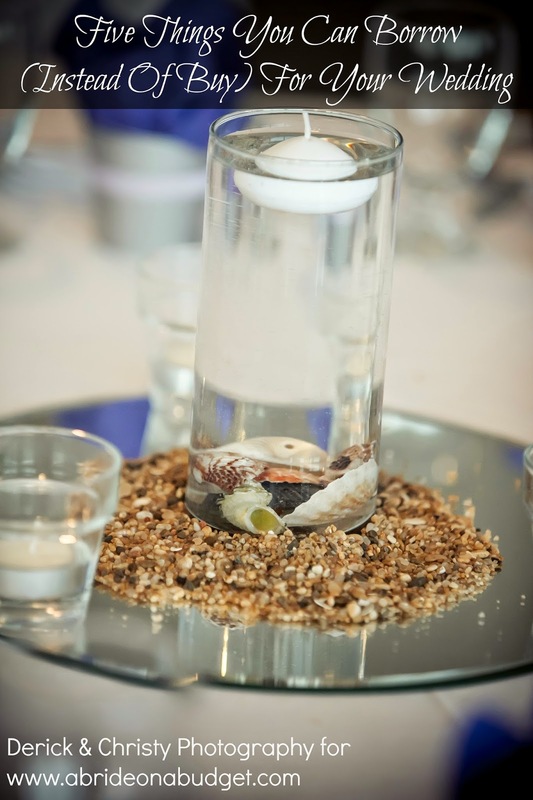 And if you don't, you don't have to waste your time and money (and their time and resources) to set up a formal tasting. Be sure to write down your opinions about the menu or cake on the back of business cards too. The food and cake are so important, so be honest with what you think about them (and don't feel bad about trying a cake bite and not choosing that cake vendor. The samples are there for you and other brides to try). Go home and actually dump everything on the floor. Then, be sure to match business cards with brochures and staple them together. Write down any notes you forgot to write before, then put everything back in the bag. Then, label the bag with the name of the bridal expo you went to. It was so much easier for me to remember who I saw where and check that specific bag for the information rather than trying to swim through a sea of information to find what I wanted. 2. Follow up with vendors. Many of the vendors will send you generic emails after the wedding expo. But if you really love that vendor, be sure to follow up yourself. Call, email, follow them on Facebook, whatever it takes for you to keep in touch. Make sure to get any additional information that you weren't able to get during the bridal expo. If you absolutely love a vendor, schedule an appointment with them early. You weren't the only bride at the expo, so you probably weren't the only bride to fall in love with them. If you want to assure that you book them before anyone else, you really need to get in the door as soon as possible. 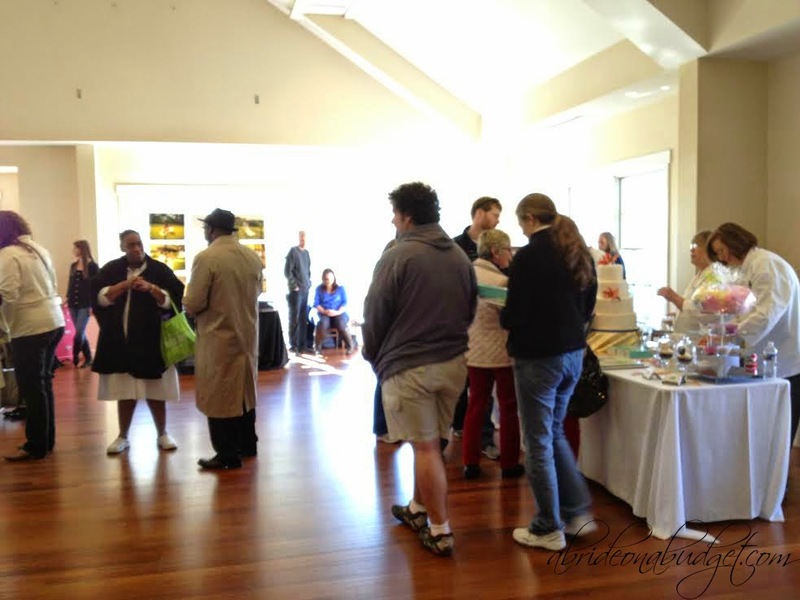 Schedule a tour of the venue, a tasting, or just a sit down meeting. If you are first and your wedding date is on the books (even in pencil), you'll get priority over anyone else. 4. Be ready for aggressive vendors. I actually had the last tip as "get ready for round two" because you will be doing this again, but I'm actually hosting #BridalBabble on Twitter right now and everyone seems to be warning against aggressive vendors. Yes, there will be pushy vendors at a bridal expo (or after) that want to sign you up for everything and anything -- and immediately. They may call or email you (again and again). It's okay. You can politely tell them you are not ready to make a decision or you can just tell them you're not interested. Or heck, you can just ignore them. It's your wedding and your decisions. Don't feel pressured to go with a vendor just because they (or your mom, maid of honor, or bridesmaids) are pushy. 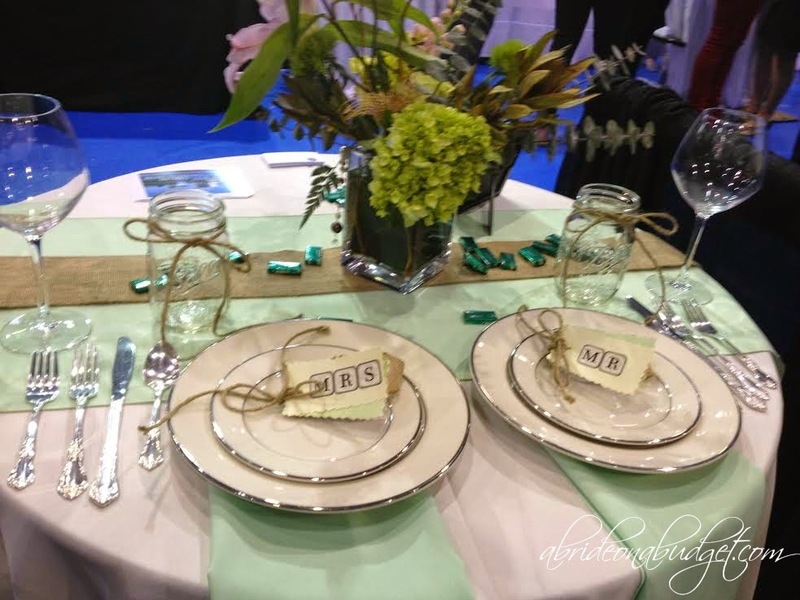 BRIDAL BABBLE: What tips to you have for brides going to their first bridal expo? Wow!! THis is the best list I have ever seen-- many things that didn't even occur to me tell I read this-- Thank you!!!!!! You're so welcome Dianna. I'm glad you liked the list and that it was helpful! This is awesome. I went to one when I was planning my wedding to my ex husband and was so overwhelmed that I walked out about a half hour in. Bridal expos. They are both wonderful and frightening at the same time. I went to one once, and after 15 minutes, my head was spinning! Thanks for these great tips. I've purposely never gone to a bridal expo, because it seemed like too much to take in. Wow! I have never been to a Bridal Exp; seems a little overwhelming. Just thinking about it makes me dizzy! I took my husband to a bridal expo once. I absolutely loved it, but after four hours, he couldn't get to the car fast enough. 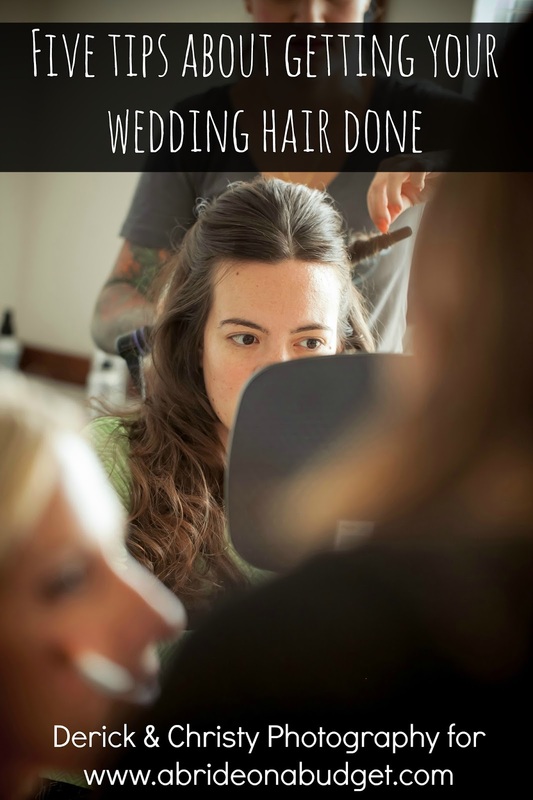 I have been to a bridal expo before and it can be very overwhelming. You leave with so many pamphlets and information. Thanks for the ideas for the next one. 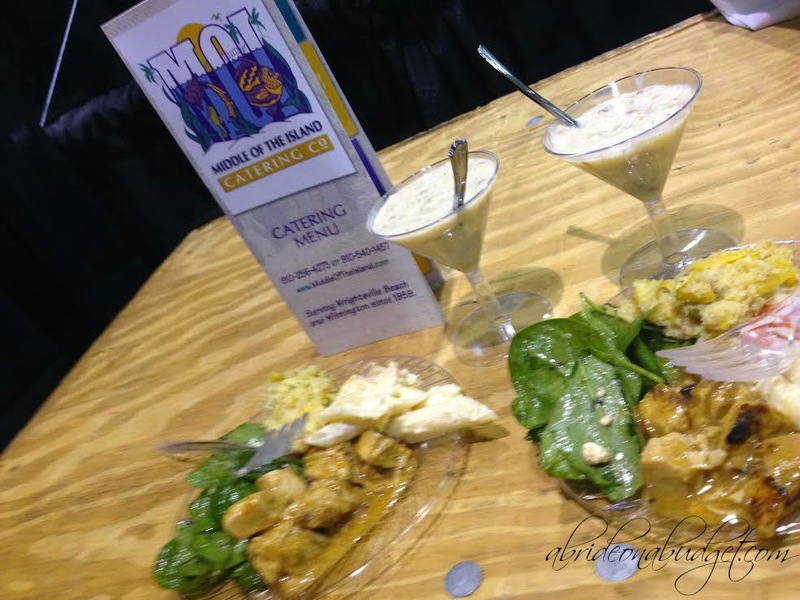 I never made it to a Bridal Expo while planning my wedding. I wish I knew someone getting married so I could go to one with her! Great tips, I barely survived the one I went to when I was engaged! A bridal expo looks like it would be a lot of fun. There would be so much going on it looks like it could be overwhelming. It would be the perfect way to get a lot of information. Great list! I always suggest going in with a plan to meet with vendor types you actually need first. Get the shows floor plan and map out your visiting strategy. These shows are big and overwhelming. Make sure you get something accomplished before you get exhausted. Probably don't commit to anything at the expo. Like you advised, look thru the brochures you brought home and think about it for a bit.